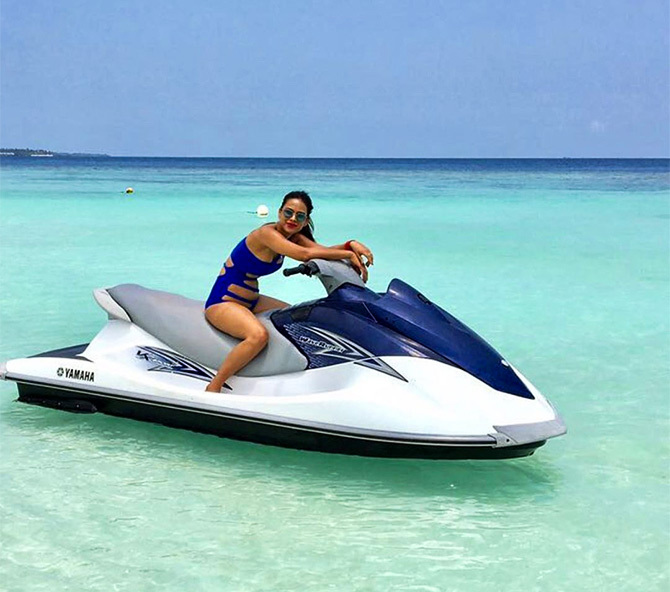 Television actress Nia Sharma, who has beaten the likes of Katrina Kaif and Alia Bhatt to bag the third spot in the Asia's Sexiest Women list, is enjoying her time in Maldives. She has kept her fans on social media posted with her holiday photographs. And these pictures totally justify her being on that list! Having a blast in paradise! Nia wakes up at 5 am for this view. Nia tries her hand at flyboarding and does a decent job at it. Another look at her water villa. 0 Response to "Nia Sharma's HOT pictures from her Maldives holiday!"